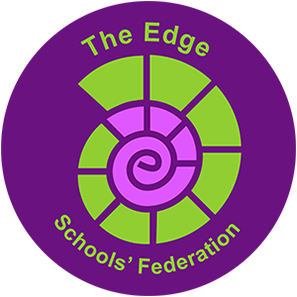 The Edge Schools’ Federation is committed to safeguarding and promoting the welfare of children and expects all staff and volunteers to share this commitment. We have a number of policies and procedures in place that contribute to our safeguarding commitment, including our Child Protection Policy which can be viewed here. Sometimes we may need to share information and work in partnership with other agencies, when there are concerns about a child's welfare. We will ensure that our concerns about our pupils are discussed with parents/carers first, unless we have reason to believe that such a move would be contrary to the child's welfare. Mr David Lockley (Assistant Headteacher), Brockton. Mrs Sue Duffy (Assistant Headteacher), Church Preen. Mrs Elle Evans (HLTA), Church Preen. The Governors with responsibility for safeguarding in our schools are Chris Jessop and Simon Gray. Whilst lots of parents and carers really enjoy seeing photos and videos of their children’s school life we are very mindful of our duty of care towards all our pupils. We take the issue of safeguarding very seriously and this includes the use of photographic and video images. Any photographs or videos taken by parents, carers and relatives at school productions, sports days or other events are for the enjoyment of individual families. They must not be used in any way that could potentially place a child at risk. This would include publishing images in any form of print or on the internet including social networking sites. This is emphasised before concerts and shows etc and where practical a record of parents and relatives taking photographs or videos is made. We understand that in exceptional circumstances a parent or carer may not wish their child to be photographed or videoed in this way. If this is the case then please contact the headteacher to discuss how this can be best achieved. Occasionally, the local press will be invited to take photographs of school events and special achievements. We like to use photographs of our children on our website, in school documents, for parent information meetings, newsletters and on our display screens around the school. If you do not wish photographs of your child to be used for these purposes, then please contact the Headteacher.